Welcome to November vintage lovers! 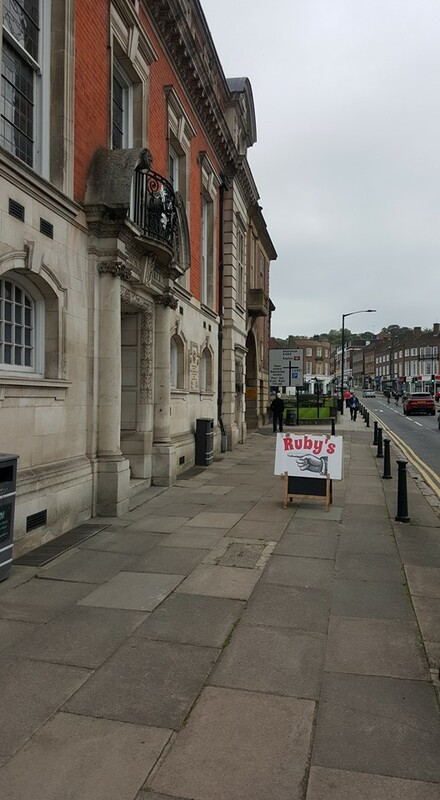 The run up to Christmas (yes – we are allowed to say that word now) is usually the busiest time for vintage sellers apart from the summer festival season and Ruby’s is no exception. Lyn and Alison have 2 events during this month – Sunday 19th November sees us back at the Old Town Hall in High Wycombe and then we are at Our Lady’s Abingdon School on Saturday 25th November. Lyn is also selling at various other vintage events and will have new stock from the USA including a selection of beautiful 1950s Lucite handbags! You may have noticed that we’ve been a bit quiet on the social media front – that’s because Lyn has been away in the USA for a few weeks. She is now back and all communications, social media and the like will be all systems go between now and the 25th! If you are a vintage stallholder, we do have space left at our Old Town Hall event so email us on rubysvintage@hotmail.co.uk for more details. Our Abingdon event is completely full and we are running a waiting list. We will also be starting to take bookings for our summer events from now plus discussing our complete schedule for 2018 so please watch this space.